Ah, the trusty boot! There’s something so great about styling outfits in autumn and winter – you can throw on a simple jeans and jumper combo and quickly create a perfectly-executed look with the addition of a chic coat and a fantastic pair of boots. Not only that, but boots are also incredibly versatile. 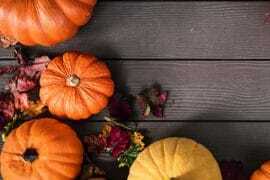 They are a true autumn and winter staple, able to see you through any situation in style. To prove our point, we’re detailing five separate boot-worthy occasions and how to create an effortlessly stylish look with your favourite autumn boots. Casual days out meeting friends are the ideal time to have a little fun with your fashion. You want to be comfortable and casual, yet with an edge. Jeans are the obvious, versatile choice for day-to-day wear. Team yours with a leather jacket and chunky scarf, and finish with biker boots or statement buckled boots to give your look a rebellious twist. 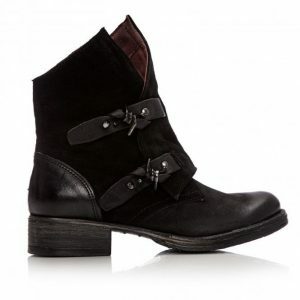 The Crawl Black Leather boots are our top choice for those relaxed autumn days. 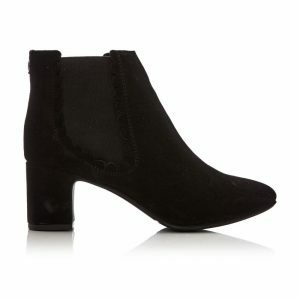 Question: can you wear ankle boots to work? Of course you can! There are a whole host of ways to dress up an ankle boot and create an office-ready ensemble. Opt for a pair of tailored black trousers – a carrot cut or slimline design works well. For an ultra fashion-forward look, go for a pair with a very slight crop; no more than an inch above the ankle keeps this look stylish while still work appropriate. Add a French tucked blouse and finish the look with a low heeled ankle boot. 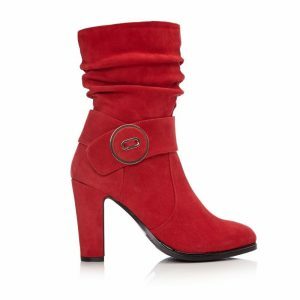 Black boots, such as the Lotis Black Suede, are a fantastic everyday option, or you can choose a pair of bright red boots to really make a statement. Those pub lunches that lead into an afternoon drink or three call for a suitably versatile outfit, and this is where heeled boots come into their own. Opt for a simple, classic outfit – think chunky knitwear and skinny jeans. 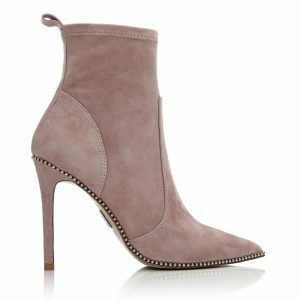 Then, to ensure you’re ready for any eventuality, opt for a pair of tall, statement heeled boots such as the Rodeli Red Suede. Classic and comfortable, yet with a striking red shade, these stunning heeled boots will instantly elevate any look. From casually browsing for clothes to manically ticking off the Christmas shopping list, comfortable flat boots are a girl’s best friend for shopping trips. Outfits for shopping should be comfortable; jeans or trousers with a snug, stylish coat are ideal. 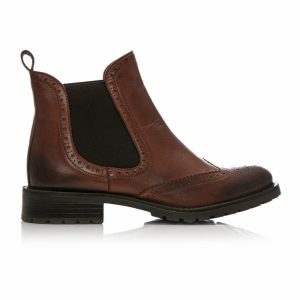 To finish the look, a pair of flat Chelsea boots such as the Callio Tan Leather are perfect. Crafted from incredibly soft Portuguese leather and with a chunky tread for improved grip, these beauties will ensure your feet feel as fantastic as they look. Perhaps you have an evening out with the girls and you’re on the lookout for the perfect footwear? Whether you’re heading out in a killer dress or the classic ‘jeans and a nice top’ combo, a pair of heeled boots are a must for taking your look from daytime chic to evening glam, while leaving you comfortable enough to dance the night away. The Belista Taupe Suede boots are a firm favourite here at Moda. These stylish heeled suede boots feature unique metallic detailing alongside a flattering stiletto heel that will quite literally elevate any look. 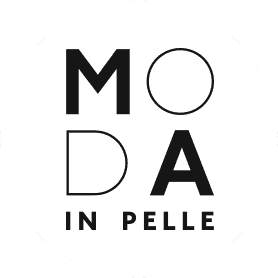 To keep your look fashion-forward all season long, be sure to keep an eye on the selection of women’s boots at Moda in Pelle. From Chelsea boots to statement heeled boots, we have the perfect pair to see you through any occasion.